Leonardo DiCaprio is giving you a blast from the past with a first look at Quentin Tarantino’s Sony Pictures film “Once Upon a Time in Hollywood,” with a pic that features he and co-star Brad Pitt in full ’60s attire. 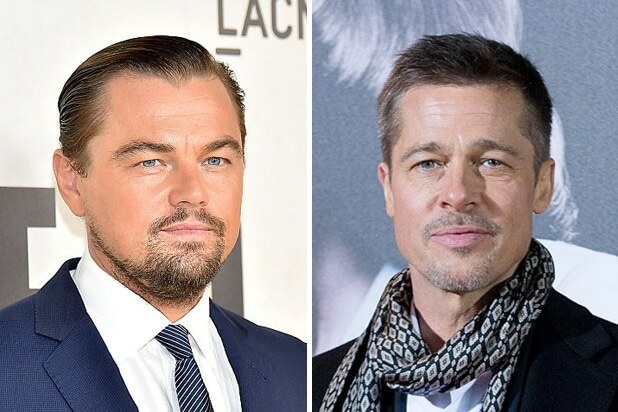 DiCaprio posted the photo to Instagram on Wednesday morning, which showed the two A-listers as diminished Hollywood Western star Rick Dalton (DiCaprio) and his stunt double Cliff Booth (Brad Pitt) respectively. The film centers around the two as they struggle to make their way in an industry that has passed them by, all while Rick’s next door neighbor, Sharon Tate, makes headlines after she is murdered by Charles Manson. This is the ninth film from Tarantino, who is producing with Sharon McIntosh and David Heyman. The film boasts an impressive lineup of Hollywood heavyweights to star opposite DiCaprio and Pitt, including Al Pacino, Damian Lewis, Dakota Fanning, Margot Robbie, Burt Reynolds, Timothy Olyphant, Kurt Russell, Michael Madsen, Tim Roth, Luke Perry, Emile Hirsch, Clifton Collins, Keith Jefferson and Nicholas Hammond. “Once Upon a Time in Hollywood” will be released Aug. 9, 2019.